Sometimes it just isn’t fair how how good LeBron James is at basketball. After so many years in the league, we already know that he can absolutely do it all, yet he somehow manages to surprise and shock us with his ability night after night. It was a run-of-the-mill night on Sunday. 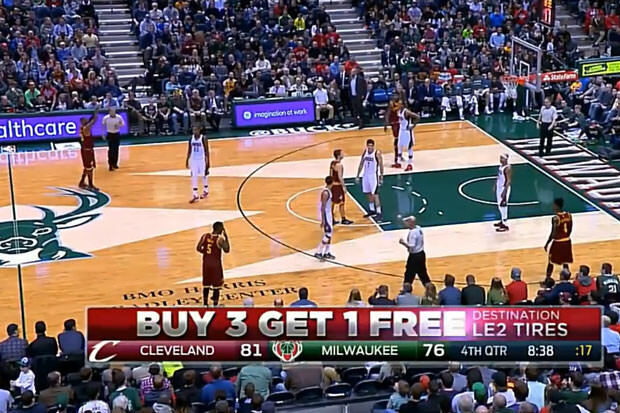 James’ Cleveland Cavaliers were playing against the Milwaukee Bucks and handling them easily. James had the ball close to mid-court on a particular play, the refs blew the play dead and James proceeded to toss the ball with a simple flick of the wrist towards the basket. And guess what? It went in! The amount of effort James put into the shop was comical, but we guess he probably practices these types of no-jump wrist-flick shots from half court on a regular basis too, right? James ended up scoring 28 points in the Cavs 108-90 win over the Bucks.